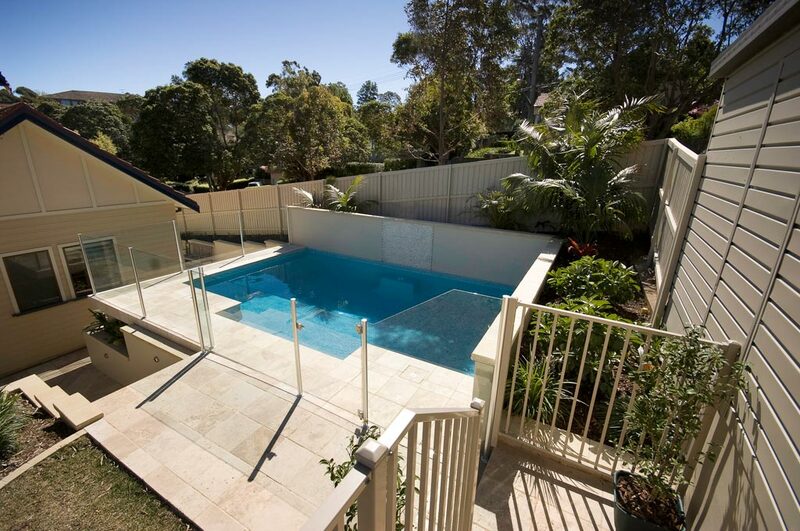 This innovative saltwater plunge pool definitely has the wow-factor! 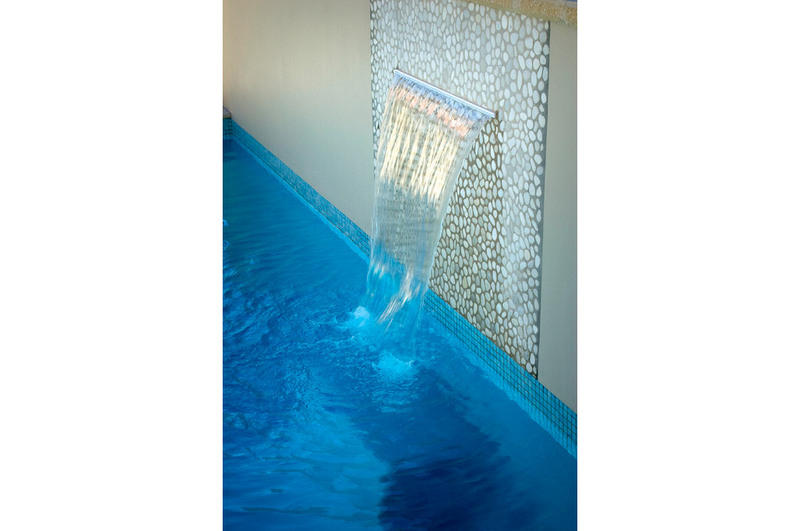 With a modern geometric style, it boasts an up-stand wall with pebble tiling and a sheer descent water feature. 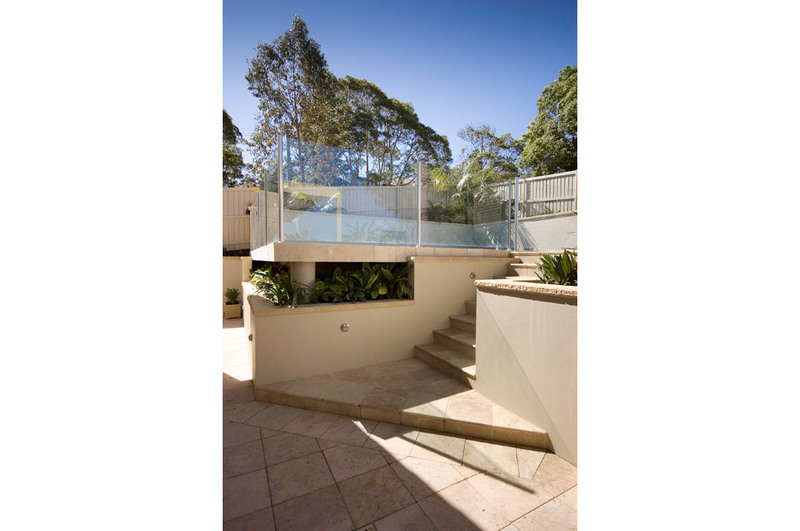 Travertine coping is used to striking effect, highlighting the angular cut of the stairs. Other finishing touches include semi-frameless glass fencing with brushed metal posts and LED lighting for brilliant night-time ambience. 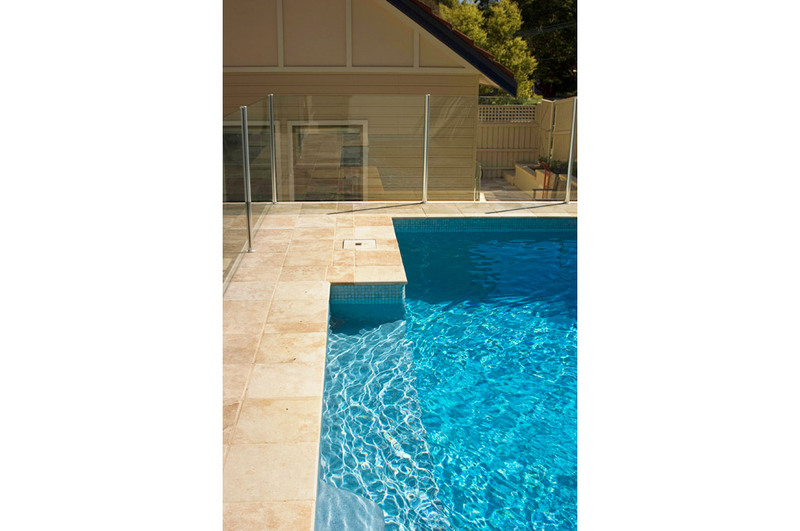 And best of all: year-round swimming is possible, with energy-efficient gas heating. 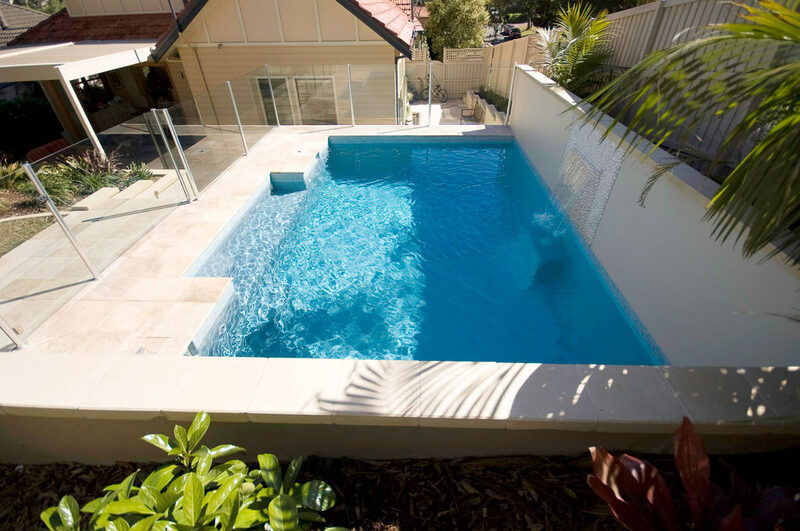 As the highlight of an extensive backyard makeover, this plunge pool represents how great design can triumph even in challenging landscapes. Excavation was tough, hitting rock and clay; and construction required ground piers to support the pool. 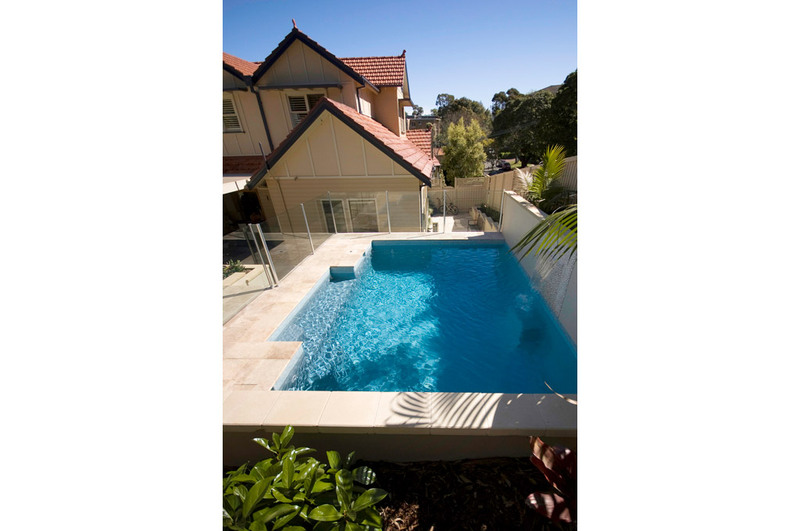 These have been disguised with greenery in planter boxes underneath the pool, turning structural components into an attractive design feature.